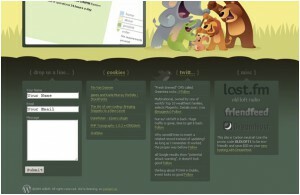 The end of year 2010 is on horizon, so we have decided to take a survey of web design trends of this year. Though trends don’t have start and stop dates, there is a definite shift period for specific trend. Most of the time, this shift is slight. Trends help us to get improved as a designer. As we master the skills of making creative designs, we seek for what’s next and again learn the ideas behind it. When you want to integrate new trends within your design, just focus on the core idea of each trend. Be optimistic to experiment into these trends so that you become an ingredient of the movement. 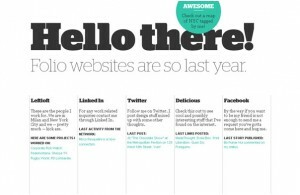 Here the list of what was and is popular in web designing in 2010. Use of splash pages is very outdated. To make a memorable impression on the visitor, the trend in 2010 is use of extra large or over-sized logo and evenly over-sized header. These types of headers can fill up the entire screen, but with one imperative message. Viewer of your site does not need to click anything; he just has to scroll down. 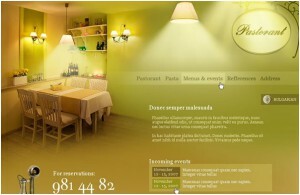 Fundamental Idea: Huge headers that make unforgettable impression on your visitor. Many designers love this approach but are scared to create their own sketches because of the “I can’t really draw” attitude. If you take a look at the mostly admired hand-drawn website designs, you will notice that much of designers can’t draw. But they make experiment into their design and get successes while achieving the ultimate goal of any website – the interaction. Fundamental Idea: Sketch becomes an elemental part of web design. 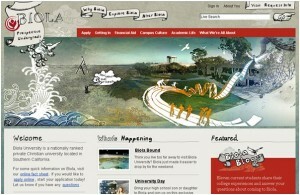 Use of block typefaces is relatively new trend in web design. All letters in bold typefaces are commonly capital and striking. Combining bold typefaces with larger headers, forces reader to take notice of your design. Fundamental Idea: Bold typefaces are used to bravely express who you are. When it comes to typography, web designers are afraid of using new and different fonts. Yet, the idea of blending varying font sizes together within typography is completely creative idea. With the proper placement, a website that utilizes typography as its main design element is more interesting to a visitor. Fundamental Idea: Typography is youthful, but will continue to be a essential part of web design. 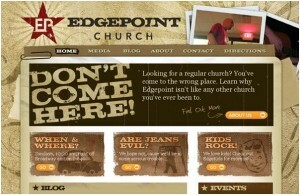 Single page website layout is a great challenge as you have to edit away what’s unnecessary. 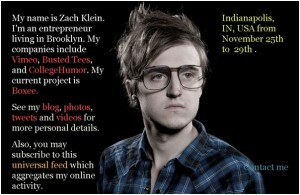 These websites are something like business cards. These single page layouts are one-stop-shot for how to locate you, your work portfolio, your blog and your social network account. 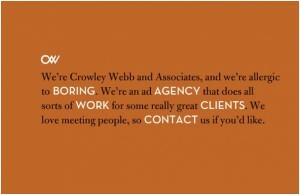 Fundamental Idea: Single page layout can be your personal profiles and less corporate website. This trend is closed family of oversized logo/header, but both are not same things. 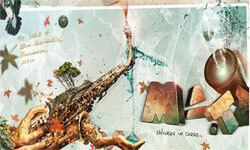 It creates a great visual impact on visitor that he will not forget soon. They can serve as your content also. Fundamental Idea: Huge images can be used to invite visitors in. Although many designers prefer jQuery for forms and pop-ups, Flash still has its position in design. There is no completion to flash when it comes to interactivity. 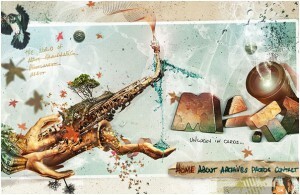 Thus, designers are moving to create sites that are slightly more instinctive than in the past. Fundamental Idea: Interactive design will make a loyal visitor. Not all minimal designs are boring. There is a trend that features lots of white space but with bold typology and surprising color schemes. A minimal design means not only back & white simplicity; it also can showcase fresh colors. Fundamental Idea: Minimalism can have fresh colors. 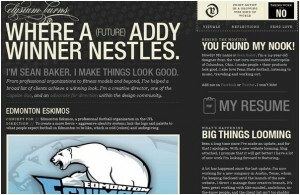 Over-sized footer is one of the most popular trends in web design today. We are quite sure that this trend will soon become an integral part of the design. This oversized footer can contain random information such as feed updates from various social media, daily polls, and Flickr feeds. Fundamental Idea: Oversized Footers can used to display less important, but more personal information. Although retro web design is admired by lots of designers, it is very difficult to fully implement this design style into website layout. Effective retro design can be made only by its underlying playfulness. 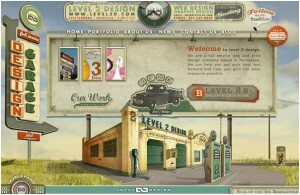 Fundamental Idea: Retro web design is new and creative. 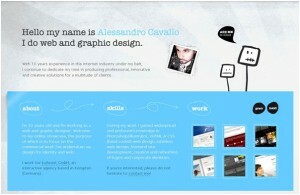 Using intro box within design is a beautiful and creative way to introduce yourself to your visitor. It forces you to compress who you are into a relatively small about of space. And it can be made more effective by using new pick-up lines instead of just hello. Fundamental Idea: New and creative way to introduce yourself. In recent years, era of online infotainment is rising. Hence, designers are finding new and creative ways to make their design unique. The magazine layout is one way, where information is carefully organized on a single home page, giving the visitor an opportunity to explore his interest. This trend is popular mainly for blogs and news related websites. 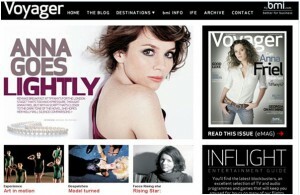 Fundamental Idea: Magazine layouts can effectively used for infotainment websites.